A very young marijuana industry has already become a hit among traders and investors around the world. Even though Canada is a leading market at the moment, the USA and Australia are not lagging very much. Those who follow pot stocks probably noticed huge share price increases of such stocks as POTN or LEAF. They recorded gains in hundreds of percentage points. While you might regret not owning those before they surged, there are still plenty other great opportunities. One of them is Elixinol Global. Elixinol Global Limited operates in the industrial hemp and medicinal cannabis industries. 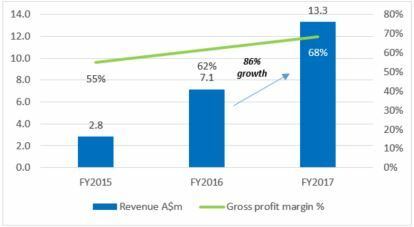 The operation is focused on three main segments with high future growth expectations. Colorado-based manufacture and distribution division focuses on hemp-derived CBD products. As people keep accepting CBD nutraceuticals for treatment of various pains and disorders, the sales of these products keep rising significantly. 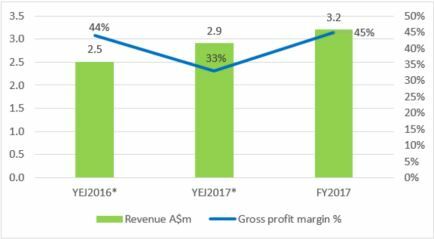 Elixinol USA has experienced 86% revenue growth YoY. Located in Northern Rivers, this segment produces and distributes hemp seeds, hemp oil, and hemp protein. These products are considered as extremely healthy supplements in people’s diet. For instance, hemp seed hearts are rich in oils, with a great ratio of omega 6 to omega 3 of around 3:1. Furthermore, Australia and New Zeland amended legislation to permit a sale of hemp food products recently in November 2017. This will result not only in direct sales but also is marketing expansion of the products that will generate even more sales. Revenue in hemp foods also increasing. The segment is presently buying licenses with the Office of Drug Control’s Medical Cannabis Program and building a business model at the same time. Then, a company will be able to grip Elixinol USA’s expertise in cannabinoid products. The company has successfully listed on Australian Stock Exchange (ASX) in January 2018 issuing IPOs of $20m. Elixinol Global has no debt and $18.8m cash on hand, thus capital structure looks pretty good. 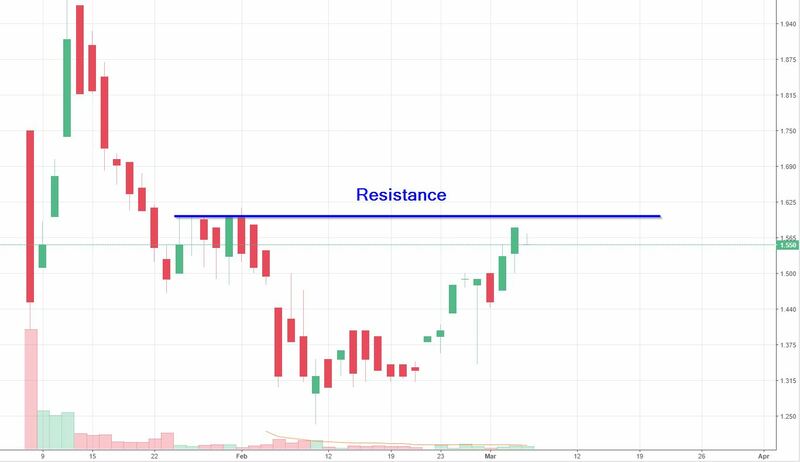 After the listing, a stock price made its high as well as low and now it’s slowly approaching its very short-term resistance (wide blue line). Since this small-cap is still very young, the company might consolidate for some time. However, if the growth continues as projected, investors will notice this and surge might come quickly skyrocketing as in case of other pot stocks.